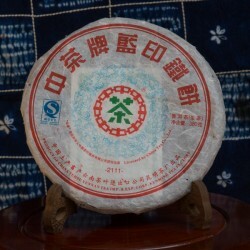 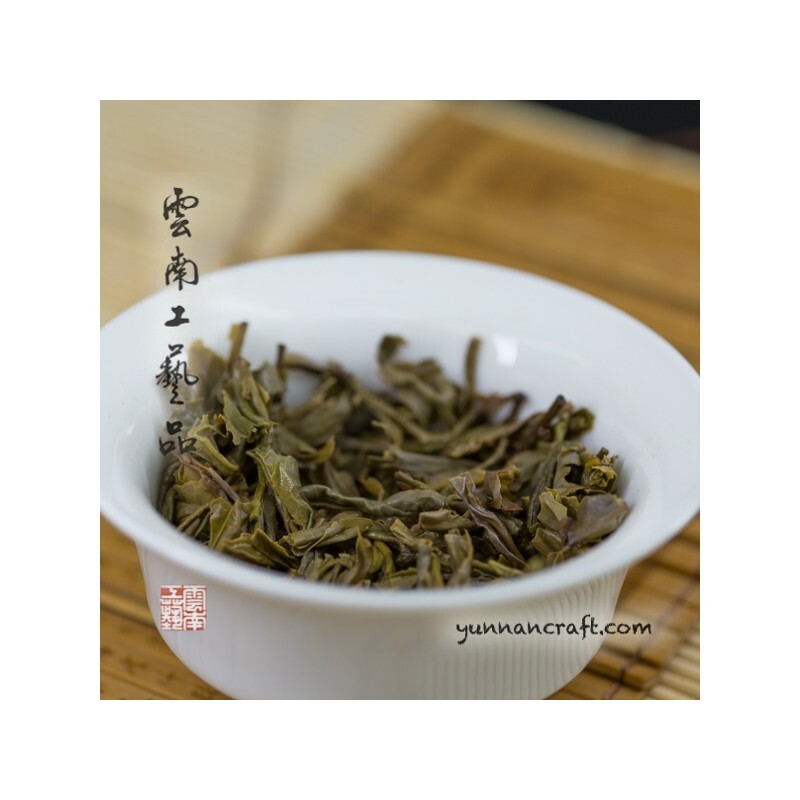 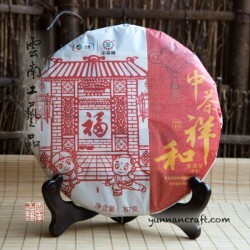 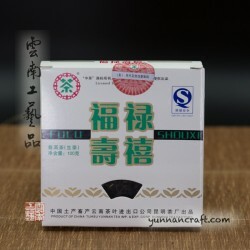 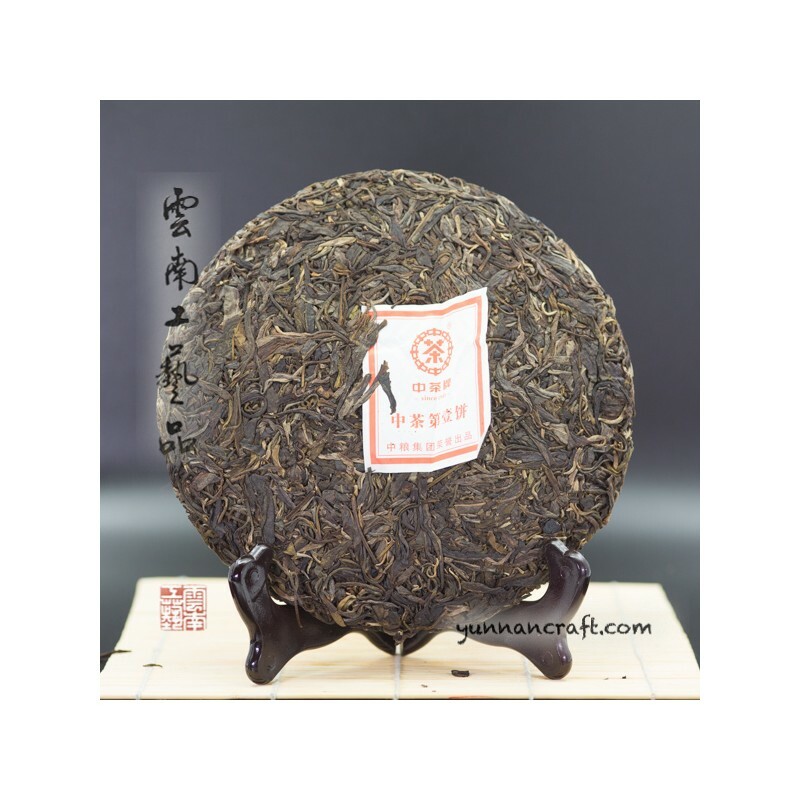 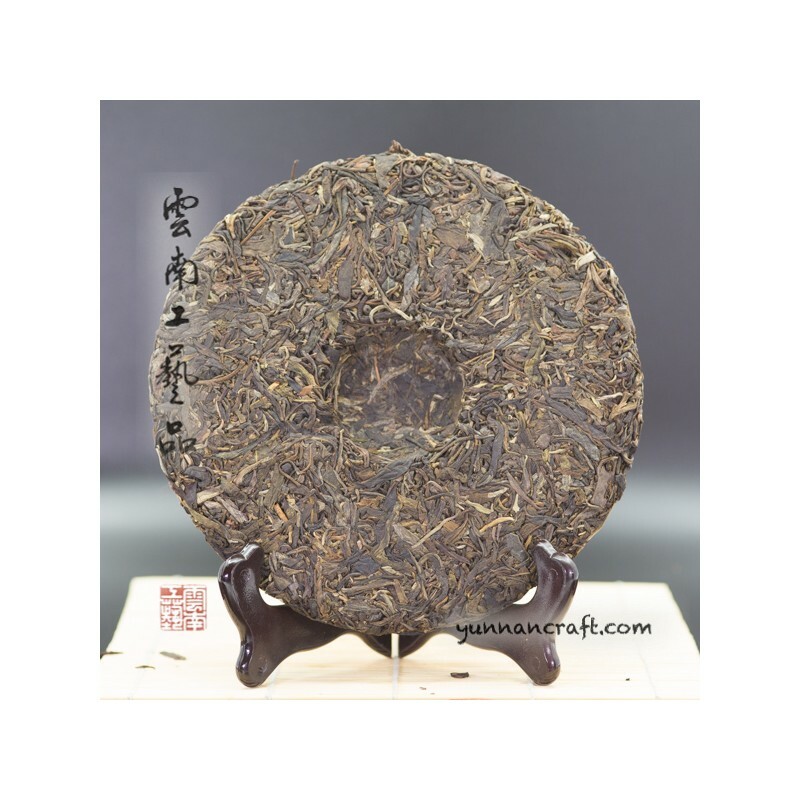 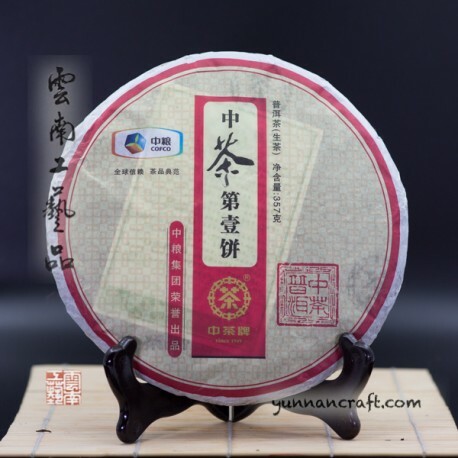 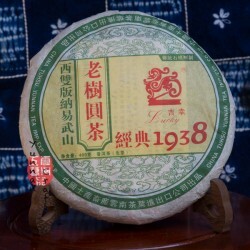 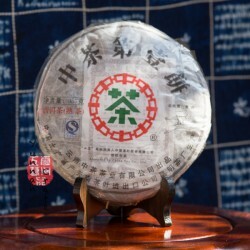 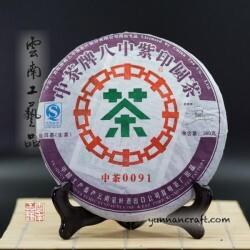 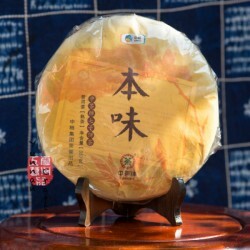 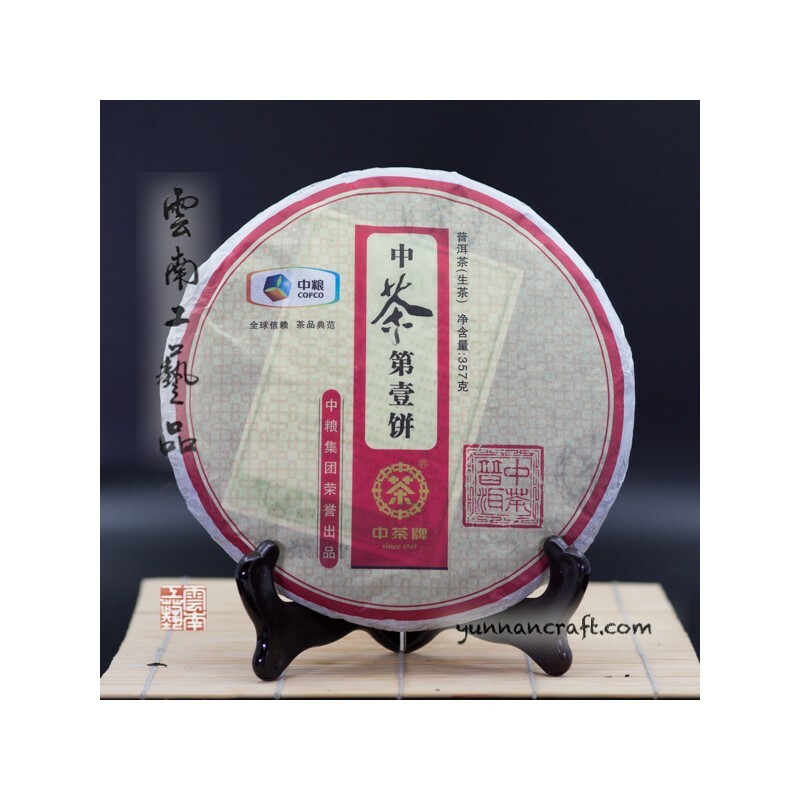 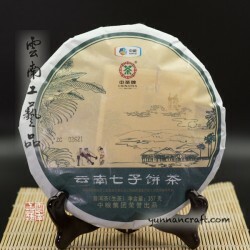 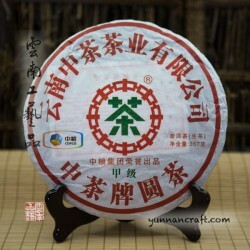 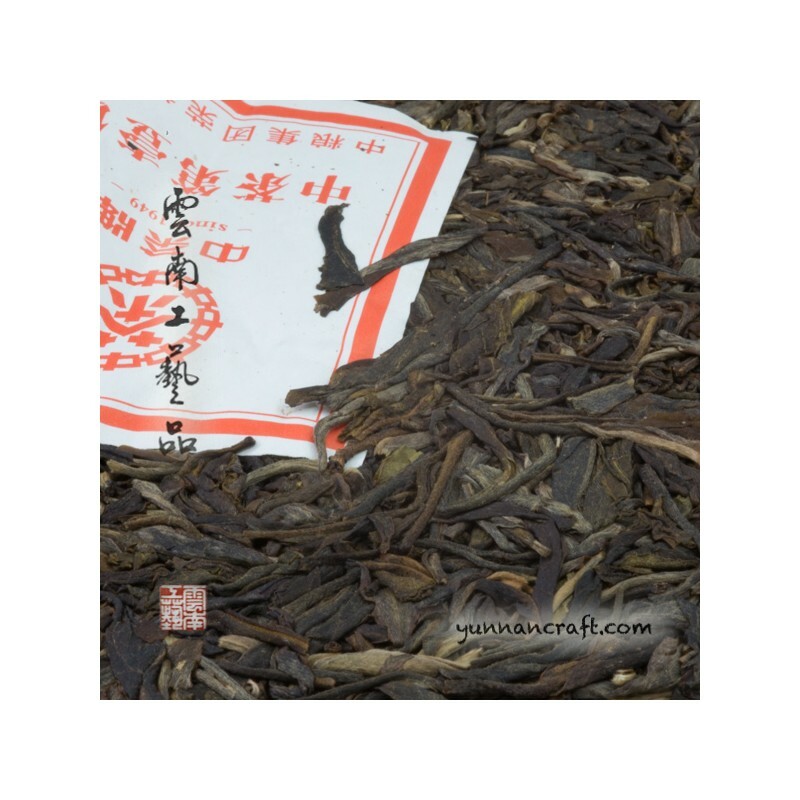 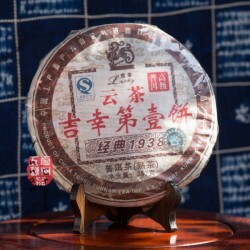 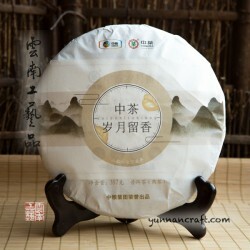 Pleasant mild "cha qi" of Zhong Cha sheng pu with very good overall characteristics. 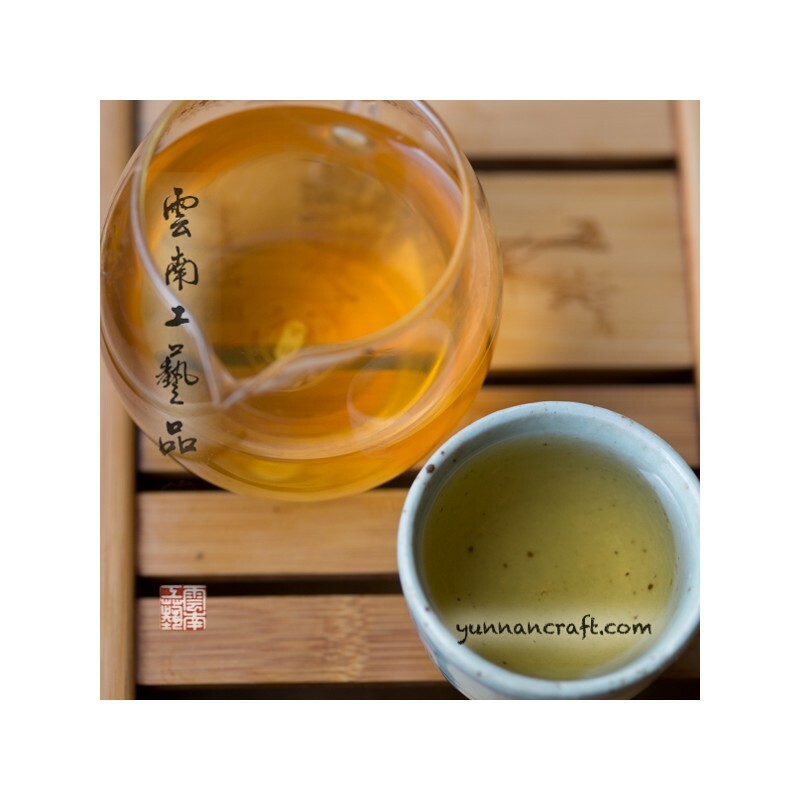 Clean light gold tea liqueur with gentle smoky notes provides noticeable sweet mouth feel lasting for quite few infusions. 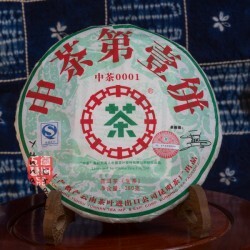 Slight bitterness but no astringency make this tea very good to drink already or even store as its good potential. 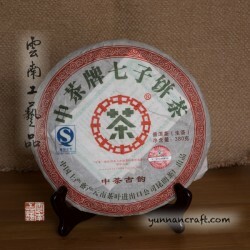 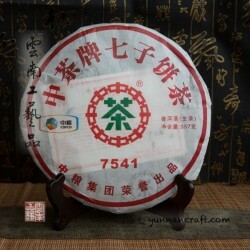 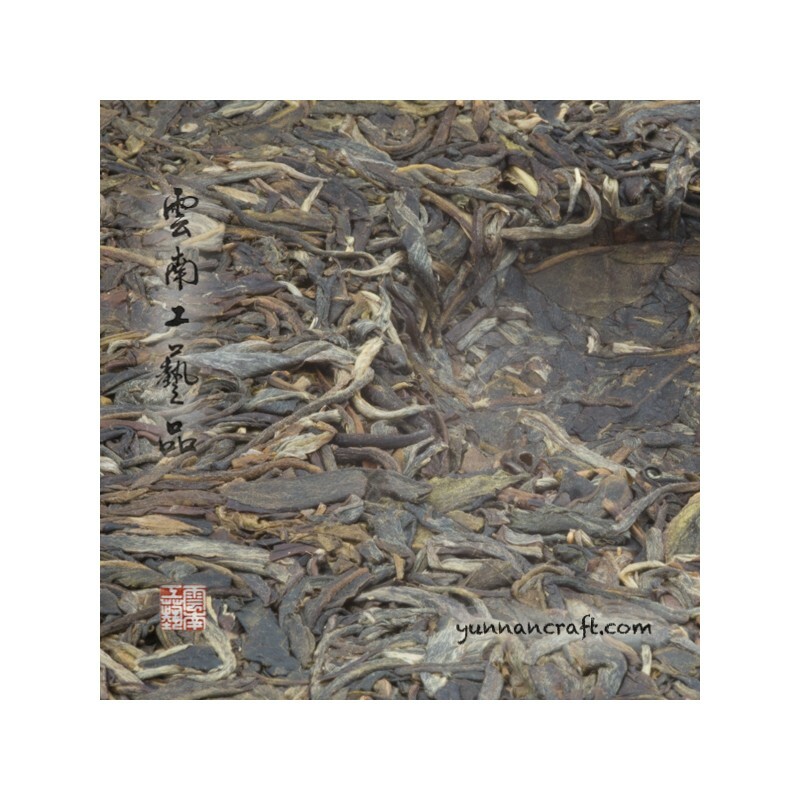 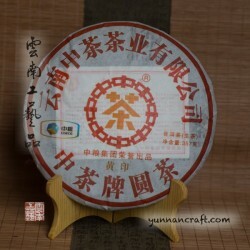 Particularly this cake has bend "nei piao" , which happens sometimes during the pressing process. 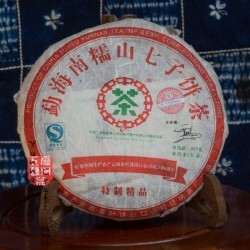 That's why it sticks out.